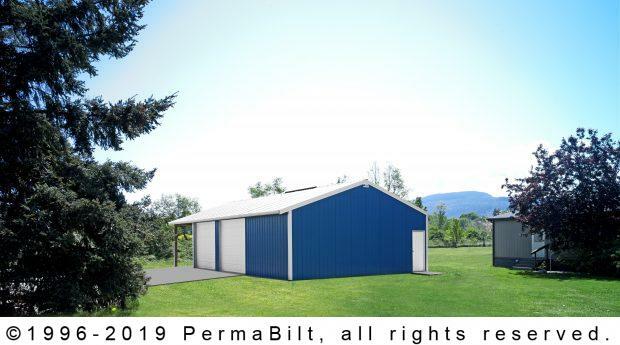 In this particular case, our customer wanted to put in a 2 car metal garage with a carport and shop in Sequim Washington but where to start? They had seen our ad in a local paper, but wanted something a little different that anything we were advertising. This is never a problem. The Building Representative met with the customer, worked with them to determine their needs and designed the building THEY needed. Then he reviewed the building location they chose, discussed county permits and reviewed the available financing. The customer chose us to build their building. 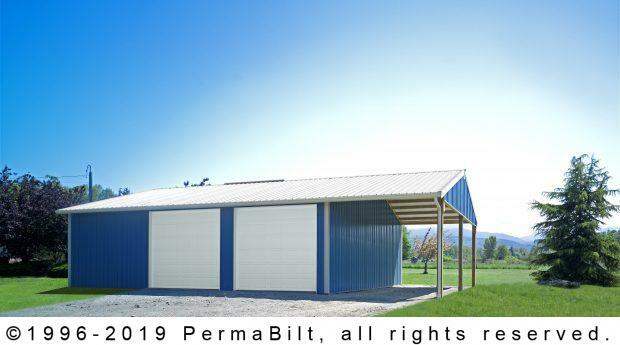 After the issuance of the building permits, after the site was prepared, PermaBilt®’s crew began construction in the dead of winter. The building included an 18” overhang on one side only and two foot poly eave-light (translucent wall panel) on the same side to let natural light in. Completing the building with garage doors, walk-in doors, windows, the couple was so pleased with their new addition they were contemplating constructing another building in the near future.